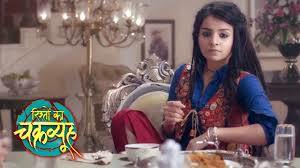 Satrupa becomes tensed and thinks she has done a huge mistake by telling Anami about what she did. Satruoa cries badly. Adhiraj dressed as old man sits with Anami and Ladoo. Police become active and search for Anami. A Policeman comes on the bus and asks her to uncover her face. He says no she cannot. then he asks him to call lady police. The Policeman asks lady police to come and asks her to match the face of this lady. she uncovers the face of the lady but that is some different lady. Adhiraj then goes back as Anami was hiding behind. Satrupa asks Police to find Anami soon. She calls headquarters and asks for Adhiraj. She gets to know that he did not report in the office since morning. Satruopa gets amazed and thinks Anami is missing from night and Adhiraj didnt report office since morning and for sure there is something which i am unable to see. Satrupa asks men to check every bus that enters Banaras or leaves Banaras. 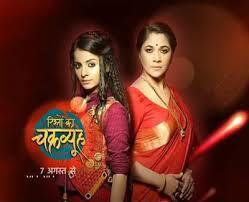 The she gets shocked as Pandit and his wife is also missing from their home. Satrupa says that Anami has planned all this very smartly but i have to find her. Bus stops and Anami gets out of that. She thinks that bus is stopping here from so much of time and she should ask driver to drive bus immediately. Adhiraj asks her to calm down as everything will be fine after some time. Anami worries amd says she cannot call Pandit ji as she asked them to leave phone in the house itself. They eats and van of Police comes. Adhiraj takes Anami in back side. Policeme asks everyone and shows photo of Anami.